HomeAuthor ShowcasePsychological Armor for Kids: How can an adventure book empower children and make them safer? 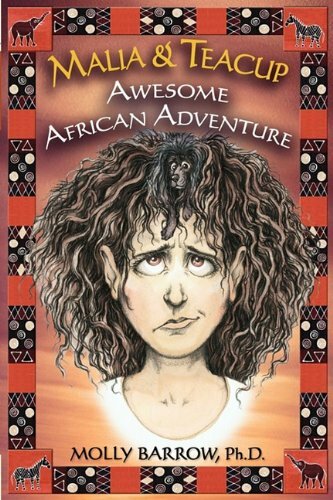 Dr. Barrow’s new fiction book for children, Malia and Teacup Awesome African Adventure (ISBN: 978-0-9825109-0-2 7/2009) for ages 9 and up, illustrates complicated problem solving and demonstrates how to “stay safe by staying strong.” Malia’s journey of self-discovery is fast-paced and a fun book to read, yet, the 325-page book with 31 illustrations contains hidden self-esteem building messages. 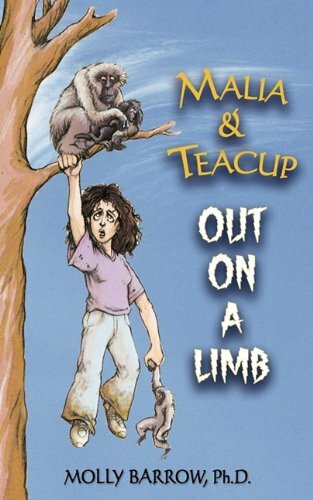 Malia and Teacup Out on a Limb (ISBN: 978-0-9825109-1-9) is the younger version for 6-9 year olds. Sunshine State Young Readers Award Committee has nominated both books for the 2010 award that will be announced in April. The series introduces young readers to important life lessons through the comedic misadventures of Malia and her tiny poodle. How a child values themselves is the first line of defense in dangerous situations against school bullies, predators, and abuse. “Prevention psychology is what we need now. Children must believe they deserve to be treated well,” says Barrow. Experts link low self-esteem with drug and alcohol use, rebellion, suicide and school dropouts. The book back pages and web site provide parents and teachers help with challenging discussion topics.